The user faints after using this move. 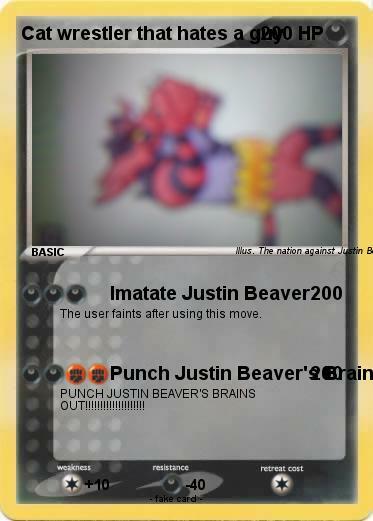 Attack 2 : Punch Justin Beaver's Brains Out!!! PUNCH JUSTIN BEAVER'S BRAINS OUT!!!!!!!!!!!!!!!!!!!! Comments : This pokemon hates Justin Beaver, and it wants to kill Justin Beaver! !